Click on the swatches below for enlarged view of cord colors. 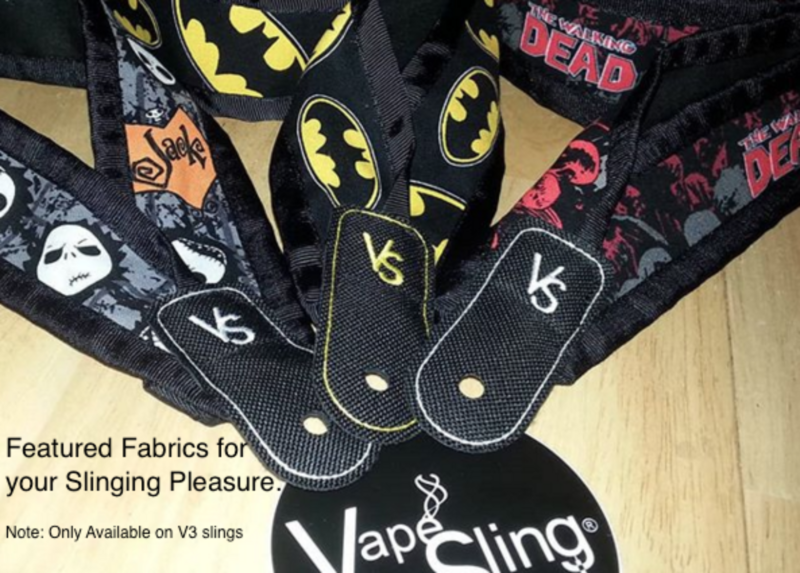 VapeSling® Canvas cradle is reinforced with a 2 ultra-thin layers of PVC for strength and liquid resistance. V2.1 install with color choices in Military grade paracord. Developed to accommodate users with a secure method of hand carry or HandCheck™. As with all our Slings, Mods of ALL SIZES, WEIGHT and SHAPE are held, comfortably and securely. Your Mod’s weight is supported by Military grade paracord and our proprietary reinforced canvas. The cording is adjustable and extends up to 9″. Never worry about losing or letting your Mod fall again. Take out your best Mod…you know, the one Mod you cherish the most and are so reluctant to take her out, that she never seen daylight. Sling that baby on your new secure HandCheck™. No worries ever as you adjust it to stick to it. Your hand will battle Murphy’s dreaded yet proven law—> “Anything that can go wrong will go wrong” unless you sling it, of course. Place your hand in the sling from above. Hand goes thru directly behind the cradle. Your Mod should be comfortably set in your hand, yet secured by your HandCheck™ at the wrist. In full display and always ready to vape. For the latest news or product debuts, check our “Latest News” or follow us on Twitter, IG and Pinterest. I have to say that I am clumsy! I have dropped and damaged so many vapes! Ever since I got this product I have a sense of relief! It has saved my mod more than once! It is durable, made well and truly an amazing product! Look at it this way you can get a vape sling and never have to worry about dropping your mod! No brainer! I highly highly recommend the vape sling! Not to mention customer service is amazing as well!